So pleased to have a break from the London Underground and public transport for the last week while I'm in California. However, thought you might like to see the closest I got to the subway in LA. 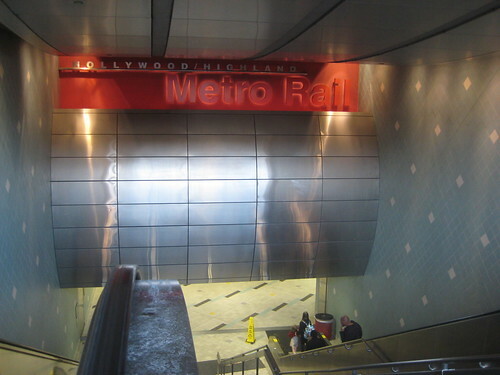 It's the entrance to the Hollywood Highland Metro station on Hollywood Boulevard. Never rode the subway there, so I've no idea how it compares with the subway in New York or elsewhere in the US. If anyone's used the LA Metro, let me know. 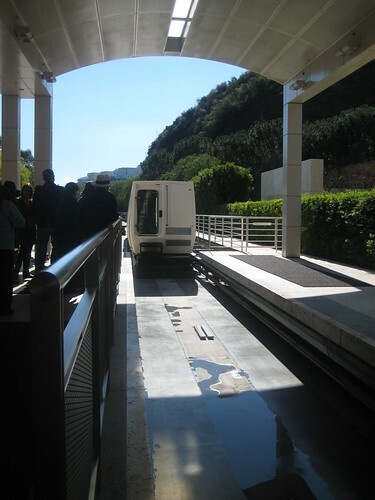 At the weekend, I really enjoyed taking a tram up to the Getty Center. The sun was pouring through the windows, the sky was blue, it was warm, the air was clear. If only Tube travel could be like this! Angeles. Luckily there was a break in the weather (last week California had big winter storms and it rained from the day we arrived). 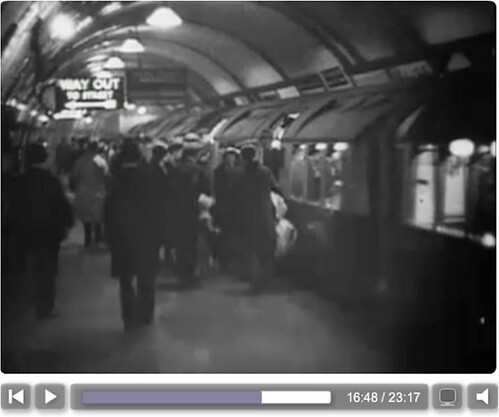 London Transport Musuem have just added a film collection to their online archives. The initial films cover films going back to 1910 up to the 1970's. The musuem says it includes "the classic British Transport Films 'All that mighty heart', along with a lesser-known gem 'Our Canteens'." Flicking through the eight titles, I was drawn to a film from 1932 showing the 'new' Piccadilly Line extension and seeing how stations that I often travel through now, such as Acton Town and Hammersmith looked back then. You also get to see crowds of thirties commuters (most of the men in hats) boarding the London Underground at Piccadilly Circus & using the ticket halls at Hyde Park Corner. It's a great collection to browse and dive into, not just for transport buffs, but also to see how film & animation styles have changed over that period. You might face some severe disruption on the Jubilee Line from 7.30pm 27th January 2010 and then each Sunday evening from 7.30pm on 31st January 2010. Maintenance workers who are members of the RMT & employed by Alstom are walking out in a dispute over pay. 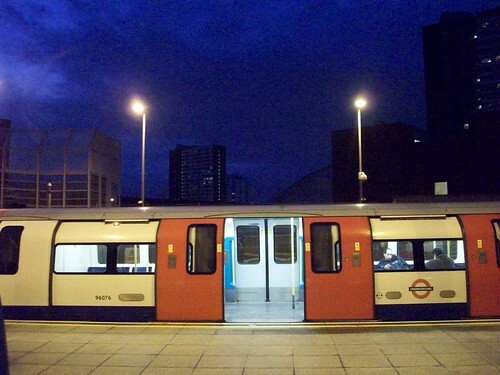 It's claimed that staff based in Stratford are paid less than "their brothers and sisters elsewhere on the Underground". The pay gap is said to have grown to thousands of pounds. However, on Wednesday a new proposal was put to the table for the RMT to consider. Bob Crow the RMT leader said "Despite lengthy talks aimed at reaching an agreement that ensures that Stratford Market depot fleet staff get the same wages as their brothers and sisters elsewhere on the Underground, Alstom have dug their heels in and left us no option but to take decisive action to break the deadlock.."
A TfL spokesperson told the Press Association: "This is a matter for Tube Lines, its contractors and the RMT and we urge them to resolve the matter quickly without any disruption to Londoners." It's hoped that a decision will be made by Monday. Update - Jan 27th 2010 - These have been suspended as a new pay offer is now being considered. 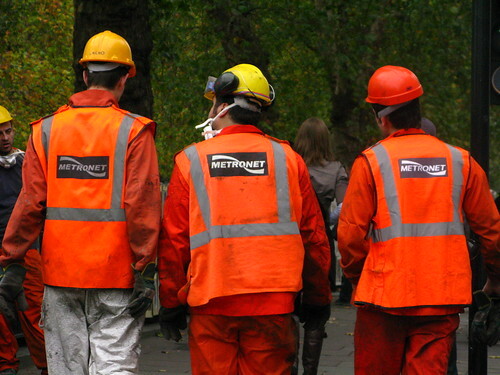 There was an over 90% majority vote for strike action in a dispute between the Metronet signal staff and London Underground management over the imposition of new rosters for maintenance workers plus handing over work to external contractors & breaches of agreements. The RMT have described this rather more emotively on their press release and accuse London Underground of "unilaterally ripping up agreements, bulldozing through shift patterns that treat staff like slabs of meat that can be pulled off the shelf when it suits managers and of threatening job security through increased use of outside contractors"
The union leader Bob Crow said, of the LU: "It's their bully-boy management style which has forced us into this dispute." He continued "LUL seem to be hell bent on confrontation by tearing up the Signals Framework Agreement and by unilaterally introducing new working practices which mean they can make people work what hours they like, when they like." London Underground are denyiing the union's allegations and their chief maintenance officer, Phil Hufton, said striking over rosters was "ludicrous". He said: "We are planning to introduce a roster covering 24 hours a day, seven days a week, to ensure planned engineering staff are always available. That agreement already exists, but the RMT is trying to tear it up. "They should stop threatening industrial action at every opportunity." As yet it's not been announced when the strike action would take place if the dispute is not resolved. I quite like the way the language is really specific here, as it brings out that nice "jobsworth" official Tube tone "If you fail to hide your true emotions fully or make any attempt to engage with passengers". I've put in bold where I imagine the emphasis would be if this was ever to become an announcement. My blog posts will be a bit sporadic over the next two weeks, as I'll be in California for work. I'll be thinking of you & hope your commute & travels aren't too problematic. 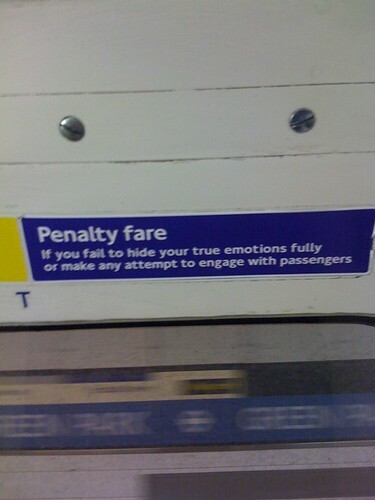 Whatever you do, make sure you follow the signs about your emotions to avoid the penalty fare. Woke up to snow again this morning. However, as you can see from the view from my study window, the Tube seems to be coping with the unexpected downfall. 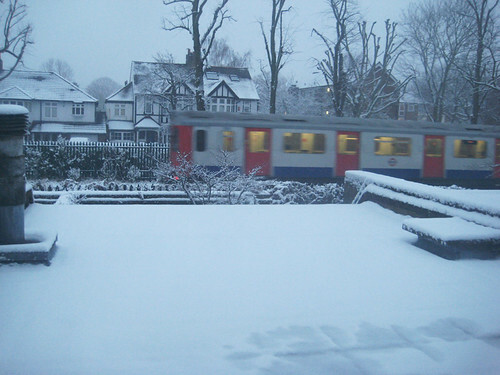 For the London Underground, for once, it's the right kind of snow. Good luck getting into work if you're on a mainline line or using London Overground, as there seem to be a number of delays and cancelled services. Let us know how you get on and how your station or route is holding up with the snow. London Underground plans to close or cut most of its ticket offices, and to reduce station staffing by over 1,000 staff. A number of people have sent me a link to petition that's been set up by Janine Booth to try to stop the closures. 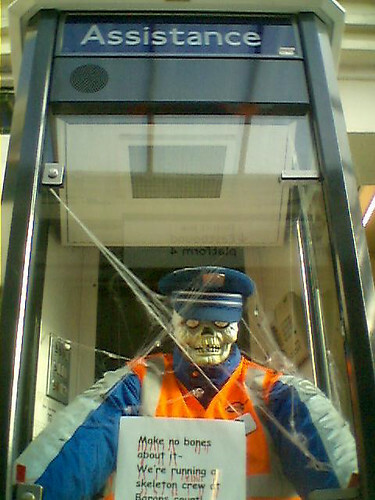 It says: "To provide customer service and safety, London Underground stations need more staff not fewer. Popular opposition stopped planned ticket office closures in 2008; now we need the same popular opposition to stop them again." From a safety point of view, I don't think it's a great idea to have unmanned or unpersonned stations. A number of old British Rail stations have suffered an increase in assaults etc due to de-staffing. "Leaked proposals indicate that up to 144 ticket offices will be closed and up to 1,200 jobs will be axed, said the Socialist Party website. "Already scores of jobs around the combine are left vacant, with no intention by management to fill them. Many outlying stations are regularly left unstaffed, which is a health and safety risk for the travelling public - who are already faced with the costliest transport system in Europe." This is probably one a few times when I find I'm in support of the RMT! If you'd like to sign the petition it's here. It's also pretty frustrating to find unstaffed stations when you want to ask a question or the Oyster & ticket machines are broken, giving you the prospect of a tiresome explanation at the other end of your journey. I wonder how many people will also use the lack of station staff as a way of dodging fares? Over thirty brave souls braced the icy temperatures in London yesterday to take part in the first No Trousers on the London Underground event. Although over two hundred people had signed up to be in the London part of the global task, the weather meant that most stayed wrapped up. However, if you were on the Piccadilly Line, between 3pm and 5pm, youd have seen the trouserless travelling between Leicester Square, King's Cross and Earl's Court before going back to Leicester Square. Rammi took part and is featured in trouserless at King's Cross Tube in today's Metro! Updating on Twitter she said "I was in the 5th carriage for most of the ride, with foreign young people and elderly women giving me evil looks. I think photographers outnumbered the participants"
My wishes of warmth didn't work as it it was "freezing" at the meeting point in Trafalgar Square, where she tweeted "W00t for coldness and mismatched underwear in public view!" However once on the trains it was really hot and packed at King's Cross. "After the first stop we all awaited the signal from Team Leader Seamus to drop trou. Initially, when the six of us in my carriage all de-trousered, the reaction was mild surprise. Or the old "Look! Don't look!" gambit. I just leaned up near the door, at the end of the car. Reading. Finally the guy next to me (after a few stops) asked me why I took my trousers off. "It's hot in here," I explained. "But what about them?" he asked, gesturing to the other bare legs in the carriage. "Yeah, they took theirs off too," I agreed. For some reason this seemed to satisfy his curiosity. Sounds like London - I bet everyone else was dying to ask. There's a great set of photos by idulsukin here. Rammi also pointed me to the video of a trouser removal at Covent Garden. Hopefully next year it won't be freezing & more people will turn up. Well done to the those who braved it & putting London on the No Trousers Metro map! Not owning an iPhone, I've never been able to test the various Tube apps that exist for it. But now Londonist, through Andreas (the guy who did the cycling vs Tube test blogged yesterday), has put five Tube iPhone apps through their paces. He reviews a freebie (Tube Map) and four at 59p (London Tube 09, London Tube, iTrans London Tube and London Tube Deluxe). In principle I love the idea of London Tube (which sounds similar to the Nearest Tube app at £1.19 for iPhone 3GS phones only) as it's the only one that used augmented reality so "using the iPhone's camera functionality you can see an arrow that points you towards the nearest Tube station. However, there is no departure board functionality and the 'points of interest' feature requires additional payment." Andreas gives London Tube Deluxe his vote. What do you think? Have you used any others or ones with extra bells & whistles like the Tube Exits app? Faster by Tube or Bike? There have been a number of experiments where people effectively "race against the London Underground". Running, by taxi and even walking have all been pitted against the Tube. The latest is an experiment by London cycling blogger, Andreas to see whether you can make several journeys in central London quicker by bike. I don't think it will surprise many of you to know that cycling won, but what surprised both me and Andreas was by how much! He said "I made the test as fair as possible by starting and ending the journey standing on the same spot. For tube route planning and estimating journey times I used TfL’s journey planner. Above ground I used Bike Route Toaster to plot a suitable route. I then exported the data to my iPhone which is mounted to my bike using the Bicio bike mount. I won't go into too many details of the Tube journey because it will be about as thrilling as walking down a staircase. Which incidentally made up a large part of it." His bike journey had some technical hitches with his iPhone app, so he ended up going the wrong way to Covent Garden. The walking bits on the Tube were done at a "brisk pace" and his cycling was "fast but not erratic", wearing normal clothes & not cycling gear. "The bike was on average 33% faster. Someone could therefore save 1/3 off their travel times or in the case of these journeys nearly 30 minutes! The second big surprise was how inaccurate the TfL journey time predictor is. My guess is it doesn't calculate the time required to get down to the Tube and back out again." You can read more about Andreas' journeys here. Andreas says he's going to try it with some other routes and see what the results are. He'd also like to know if you've noticed anything about journeys you make by bike or on foot & how they compare with making them by Tube. I currently don't own a bike but would be worried about the fumes travelling round central London & also getting knocked off. With Boris Johnson's craze for bikes & the upcoming bike hire scheme, it would be useful to see more experiments like this. Maybe even a Tube map or an app showing journey where it is faster to cycle! 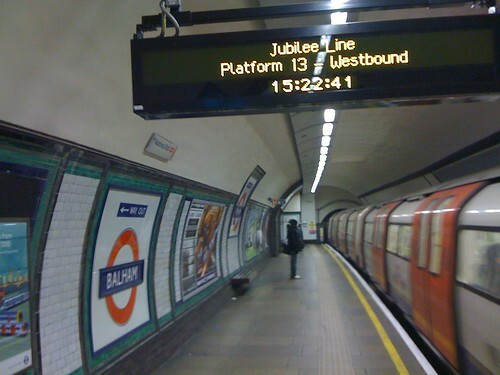 Webponce joked that the station "is making a transfer request to the newer more shiny Jubilee Line. 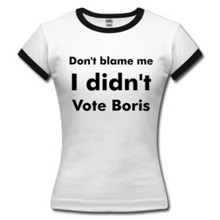 Either that or we're part of conspiracy to confuse South Londoners." Any other spots of London Underground stations or platform indicators misbehaving would be most welcome. She said "TfL don't know how/when it got there!" & has put the reply TfL sent her in the comments! Wonder how long it will take them to change it? Two Tube stations have one picture. 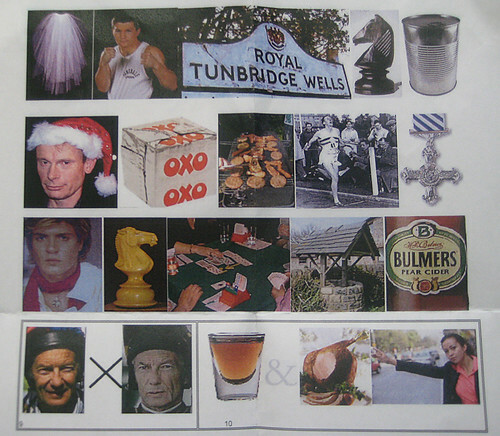 Five are made up of two pictures and one Tube station is made up of three pictures. 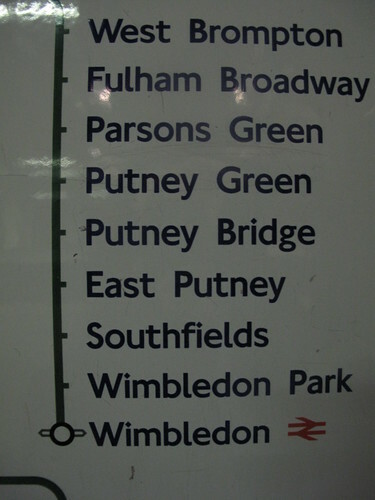 9 and 10 are stand alone Tube stations with the others all mixed up. There's no prizes, it's just for the satisfaction of seeing how many you can get. Leave the station names in the comments and try not to look at what other people have left.